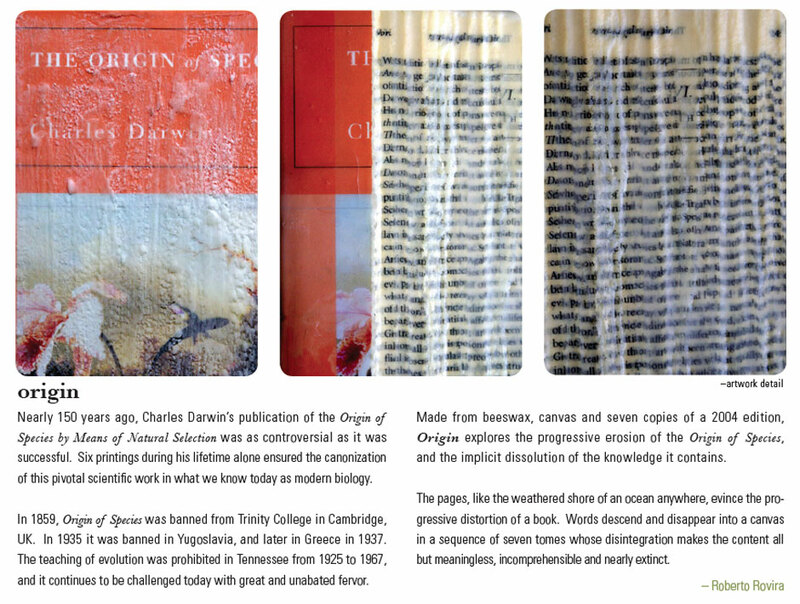 Exhibit at the San Francisco Center for the Book titled “Banned & Recovered” showed the work “Origin,” using a progressive transformation of Charles Darwin’s The Origin of the Species. Curated by Hanna Regev, the exhibit featured work from more than 60 artists working in a variety of media. Participating artists included Enrique Chagoya, Sandow Birk, Mildred Howard, Emory Douglas, Naomie Kremer and others.